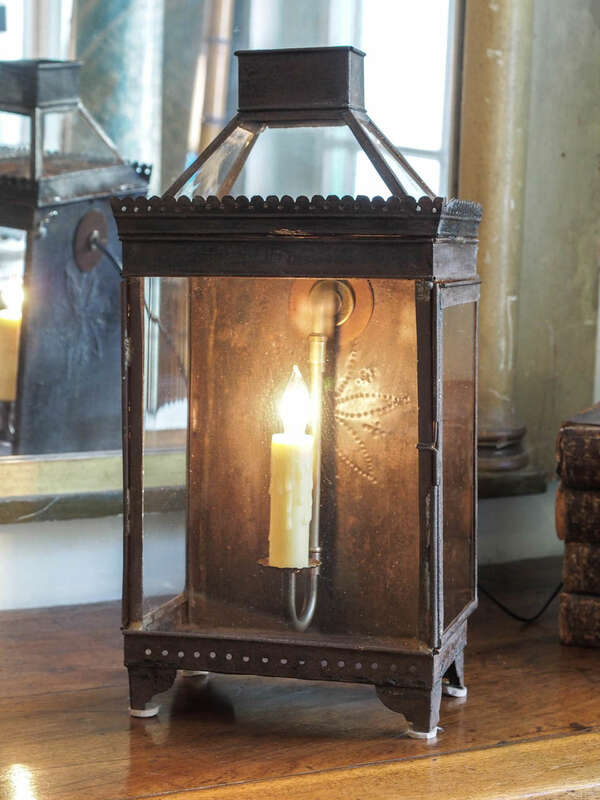 This handsome 19th century French lantern has a wonderful patina and the "electric" candle emits a soft glow to the room. 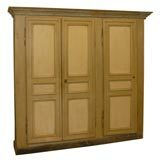 A painted French country cupboard with double doors and a matching single door on the right. 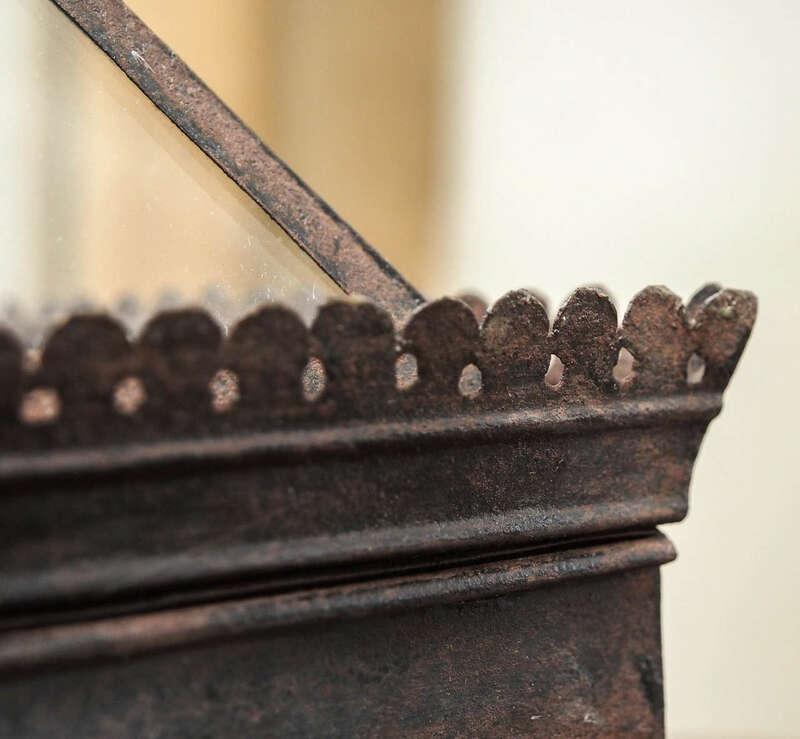 The cornice is separate and the hardware is original, with the original key, 19th century. 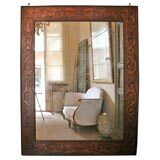 19th century French monumental mirror, Pyro gravure frame. 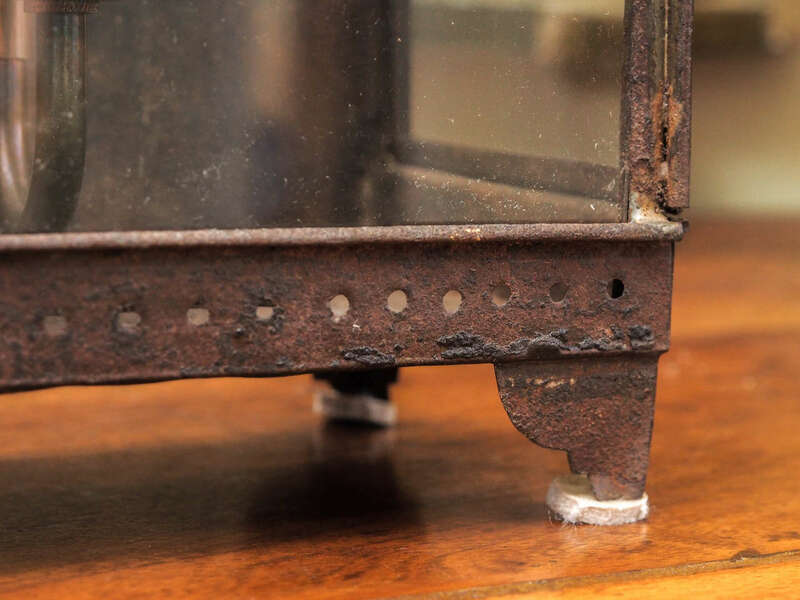 The vine design burned into the wood frame is typical of the period. The replacement mirror is mercury glass. 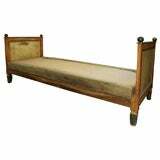 A Directoire styled daybed with original paint. 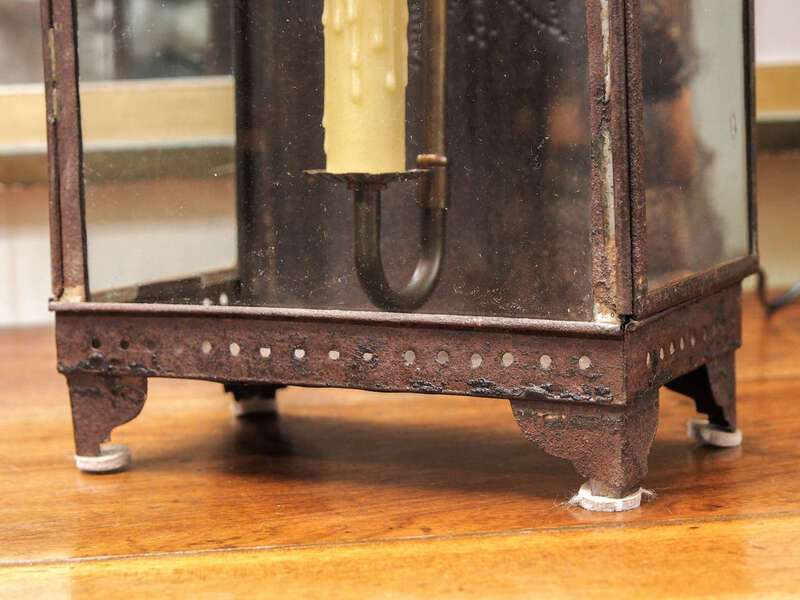 Made in France in approximately 1830. The base is upholstered in original velvet. It would have had a loose cushion on top. 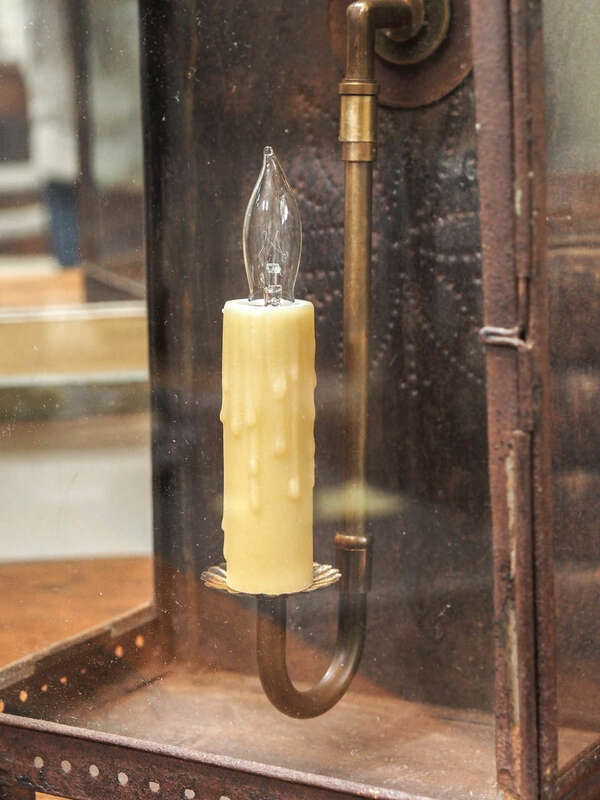 19th century antique gilt lantern in the classical style. Exceptional condition and comes with 3ft of gilt chain. 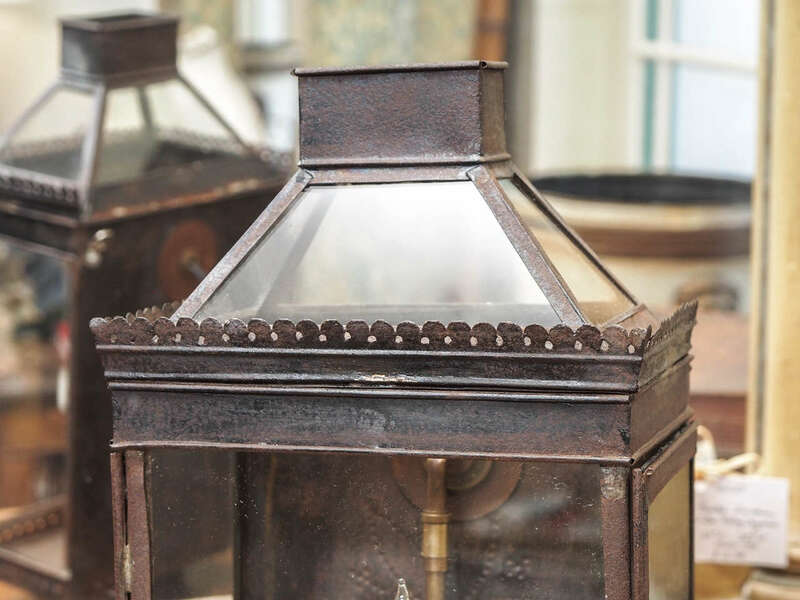 Nice pair of metal lanterns, France, circa 1850-1900. Weathered. Measurement here below of the largest lantern. 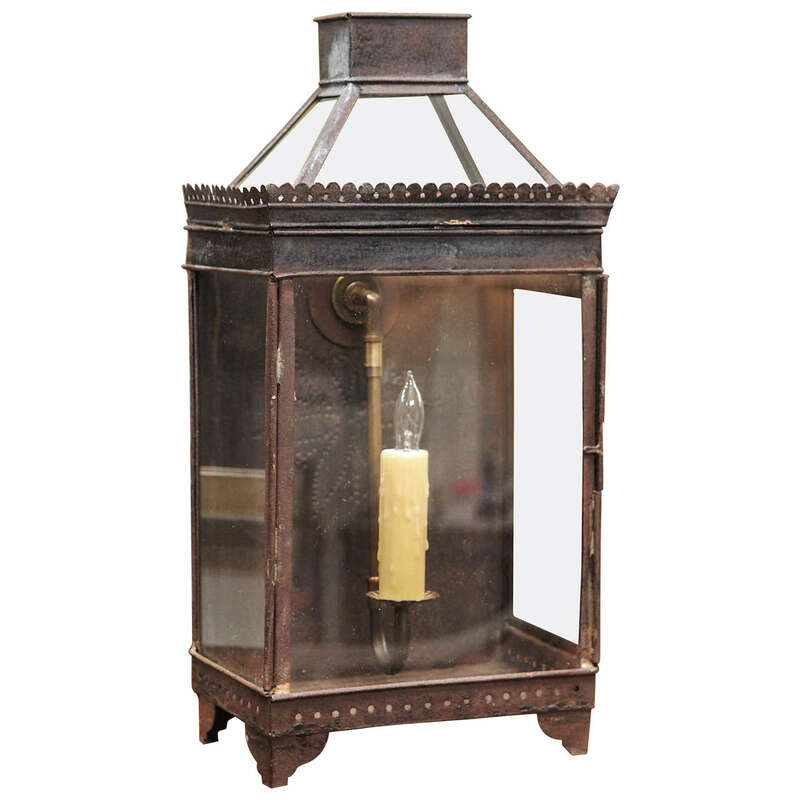 Quality 19th century French Louis XVI gilt bronze lantern with beveled glass panels. 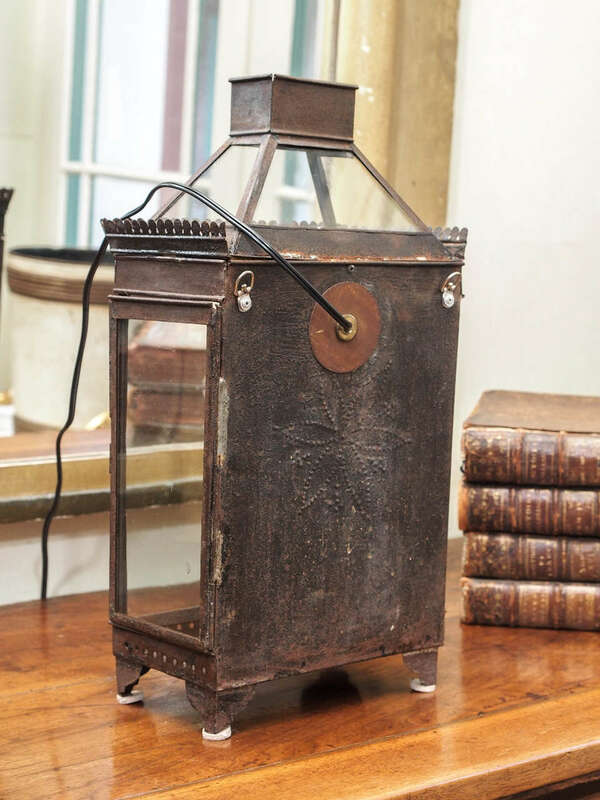 19th century large English lantern. Late 19th century-early 20th century, French Mosque lantern with Arabic calligraphy made for the Islamic market Measure: H 23cm W 19cm.